Plastic pollution is destroying our oceans. We know this now. Paddle Against Plastic hopes to inspire and empower positive change, and bring hope and pride in being part of the solution. It also hopes to reconnect you to our incredible ocean environment, and nurture an understanding of its importance, and a desire to protect it. Set up in 2016 by Cal Major, Paddle Against Plastic uses epic stand up paddle boarding adventures to capture peoples’ imagination, highlight the issue of plastic pollution so close to home, and to promote positive change by proposing simple solutions that we can all be proud and excited to be a part of. There is often a lot of negativity and doom and gloom surrounding environmentalism, so much so that it can completely paralyse individuals into wondering what on Earth they could do to make a difference to such a huge issue. 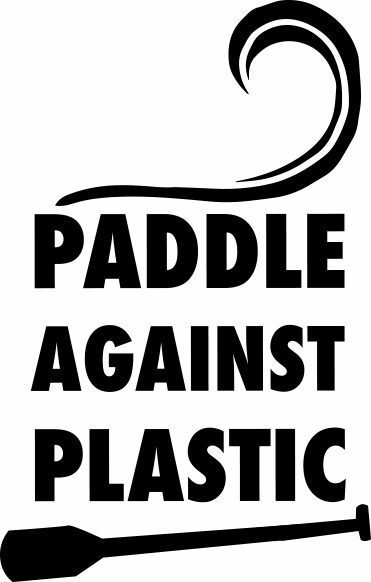 Paddle Against Plastic aims to disband this overwhelm, and replace it with positive solutions that we can all be a part of. However small your actions, just adding your voice to the millions of other people around the planet who care about this issue will help to put pressure on the companies and governments that are able to make change. There is a lot to be done, but this can only be done collaboratively, and caring about the problem is the first step to being part of the solution. Plastic pollution is a huge problem for our oceans, with 8 million pieces of plastic entering the seas every day. It is estimated that by 2050, there will be more plastic in the ocean, by weight, than fish. In the meantime, 100,000 marine mammals, and 1 million sea birds die every year as a result of plastic pollution. The oceans are so precious. They produce well over half the oxygen we breathe on Earth, and form intricate, important and fragile ecosystems. Plastic pollution is destroying this by killing marine life, destroying habitats and leaching harmful chemicals and carcinogens into the water. This not only limits the oceans’ ability to sustain our life on Earth, the toxins feed back into our lives too. The oceans are also incredibly healing and beautiful environments to be in. Whether it’s a walk on the beach, surfing, or just dipping your toes, being near the ocean has proven positive effects on mental and physical health and wellbeing. There is so much disconnect between our lives on land and what is happening in our oceans, which surround our beautiful country. If we can reconnect people to these incredible environments, their importance, and how healing they can be, then hopefully we can nurture enough of a desire to protect them. If we can connect the plastic we are using on land to that which is ending up in the ocean, we can find more voices demanding for this to be stopped at source. 80% of marine litter originates from land based sources. So the less we use on land, the less ends up in the ocean. Single use plastic is one of the biggest polluters; this is the plastic, often packaging, that is used for a matter of minutes before being discarded. A lot of it is completely unnecessary, only in use for our convenience. Our oceans are far too precious for us to be destroying them at the rate we are for something so unnecessary. You can make a big difference to this problem as an individual. Change doesn’t happen overnight. But start to look at the plastic you are using in your life, and see where you can switch it out. Please don’t feel guilty about the stuff you can’t avoid, but rather feel proud at the stuff you can. Start with the simplest and most impactful – a reusable water bottle. Take a reusable coffee cup with you when you’re out and about – did you know disposable coffee cups are lined with plastic and aren’t recyclable? Recycle wherever and whenever you possibly can. Care about the subject, talk to your friends and family about it, and you might just be able to inspire them to make a change too. Then your impact has instantly doubled. Whenever you’re at the beach, river, estuary or perhaps even the park, consider picking up a few bits of litter and disposing of them properly so that they can’t find their way to the ocean and threaten that environment.